Fausto Pratella, son of the Italian painter Attilio Pratella (Lugo, 1856 – Naples, 1949), was a student at the Naples Academy of Fine Arts, but was also very much inspired by the advice and teachings of his father. 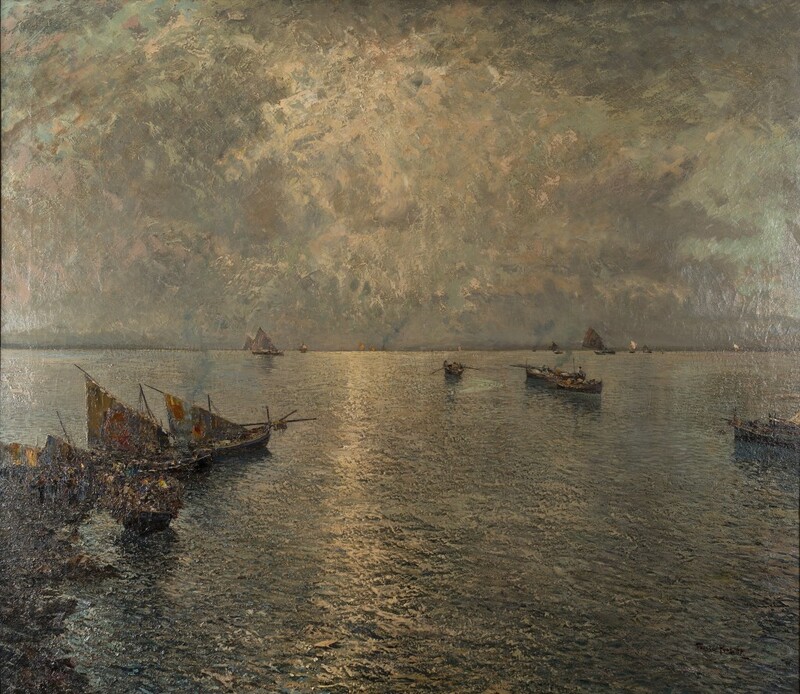 Another relevant influence came from Giuseppe Casciaro (Ortelle, 1863 – Naples, 1941). Landscape painter, he began to exhibit in 1909, in his hometown, and later in important exhibitions such as the Venice Biennale and the Quadrennial of Rome. Fausto Pratella spent much of his life in Milan, distinguishing himself among the artists of the "Famiglia Artistica Milanese". 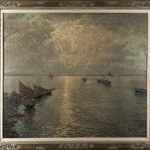 Certain of his works are presented in the Gallery of Modern Art in Naples and Novara. He participated with assiduity, to the most important national exhibitions: in Turin at the Promotion of Fine Arts in 1931 and in 1932; in Milan in 1920, 1922 and 1923, and the Permanente in 1924, 1930, 1931, 1932, 1933; at the Venice Biennale in 1930 and the Quadrennial in 1931. A. M. Comanducci, "Dizionario Illustrato Dei Pittori, Disegnatori e Incisori Italiani Moderni e Contemporanei Volume Terzo (M-Q)" (1962), p.1501.